Radiologists use imaging techniques (X-Ray, PET, CT, MRI, and Ultrasound) to perform a wide variety of procedures used to help diagnose medical conditions. We have multiple subspecialists in each key area of radiology, allowing us to offer you the best results for whatever procedure you require. Below is a short list of some of our areas of expertise. Body Imaging is the core of radiology. Our specialists image all of the major organs of the body, as well as the major arteries and veins. 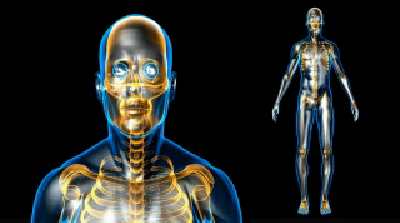 These non-invasive imaging techniques allow for the detection of many diseases, as well as planning a course of treatment without the need to perform invasive procedures or exploratory surgery. Some Radiologists develop an area of specialized interest, and more information about these specialties can be found throughout our site. Our team of dedicated Cardiac Radiologists is specialized in a variety of heart imaging techniques – MRI, CT and PET. 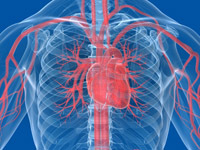 Cardiac Imaging is used to diagnosis and facilitates management of many heart conditions. The images allow the evaluation of the size and condition of your heart chambers, valves, and blood vessels, as well as other structures that effect the operation of your heart, such as the pericardium. With this information, your cardiologist can plan your course of treatment or evaluate the progress of an existing treatment. When seconds count, our highly trained specialists shine. Our radiologists quickly diagnose a multitude of medical problems, including life threatening conditions using tools such as X-rays and CT. The radiologists provide the emergency room doctors with the information they need in order to develop the best treatment plan. 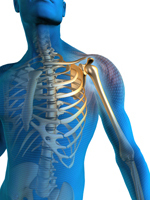 Our eight musculoskeletal specialists are skilled in multiple imaging techniques to diagnose your problem, including traditional x-ray, computed tomography (CT) and magnetic resonance imaging (MRI) with attention to the skeleton, ligaments, muscles, tendons and joints. We are dedicated to offering the most advanced imaging techniques to offer unprecedented accuracy in diagnosis. For more information please visit RadiologyInfo.org. Specialized in the imaging of the central nervous system (brain and spinal cord) and the surrounding structures including the face, skull, and spine, our specialists use state of the art equipment to give you the most accurate diagnosis possible. CT and MRI’s are the most common equipment that is used to perform your procedure. When working with the most delicate of patients, our children, there are special considerations that must be taken to ensure the long term health of the patient. Pediatric radiology requires a special physician who knows how to interact with young patients. Our physicians and staff make it their goal to ensure that the procedure is comfortable and as stress free as possible. Our team prides themselves on taking the time to explain everything completely to the child and their parents.